To be frank, I am a bad photographer, as I am not aware of best lighting conditions to shoot a photo and when a camera flash should be used. Yes, I am not a professional photographer, but these are the few basics that creates best shots. 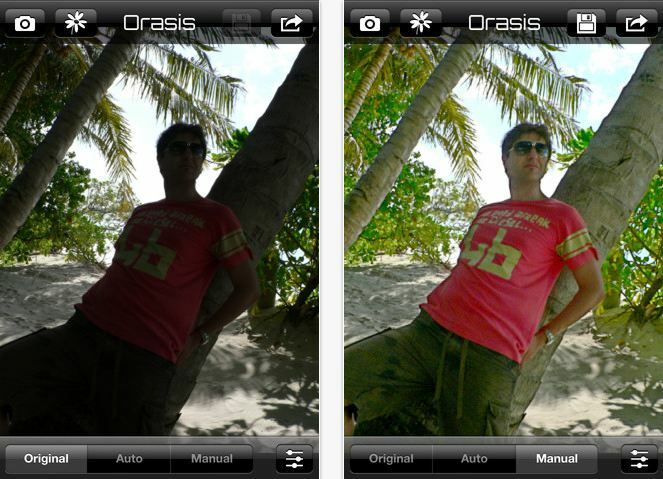 If you are like me, then here’s an application called Orasis, which is a brain inspired photo correction app that aims to restore and enhance your digital photos. The app is powered by an unique photo correction algorithm, inspired by the neural mechanisms of the human visual system. It means, the photos will look closer to what your eyes saw while taking the photo. Orasis tries to enhance the shadow or highlight regions of an image and leaves the rest untouched. The app tries to bring out the visual details that are not visible in original photos, enhances the dark background that mainly occur due to camera flash, adjusts the contrast conditions like backlight, sunray etc…and increases the level of local details in your photos to make the output look more realistic. Orasis takes care of automatically correcting your digital photos and lets you to share it with your friends on social media. Well, here is a sample! Download Orasis now and check the app’s official website for more tips and tricks.